During my first trip to Siquijor, I’ve wanted to visit a certain mangrove park after reading about it from Ironwulf’s blog. 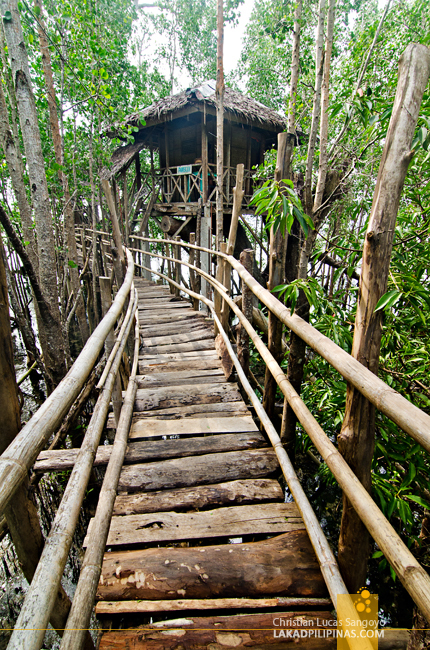 Back then, I haven’t been to the Kalibo Mangrove Eco-Park, which was probably one of the most extensive of this type of parks, so I was really interested in this place, wooden planks elevated several feet from the ground, gnarly trees and all. It was just unfortunate that we were unable to check it out due to time constraints. After four years of traveling around the country and outside of it, I’ve finally seen my share of mangrove parks, but still, I was still longing to see Siquijor’s own mangrove forest, a place that has long piqued my curiousity. And so on this recent trip, during our last few hours in the island, our guide at last delivered us to the gates of Guiwanon Spring Park. 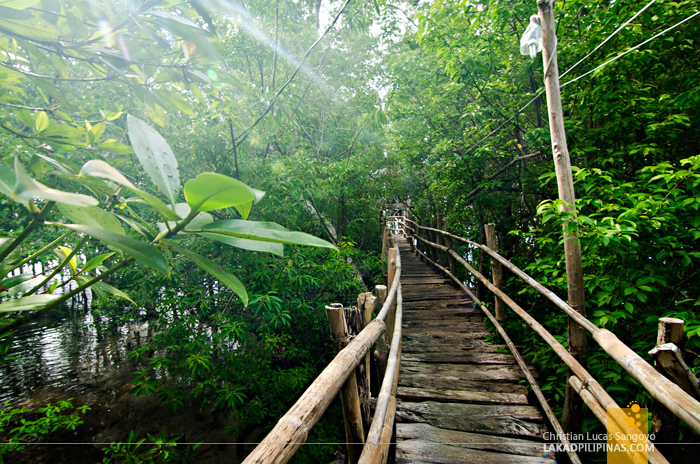 This particular mangrove forest is located near the border of the two towns of Larena and Siquijor. 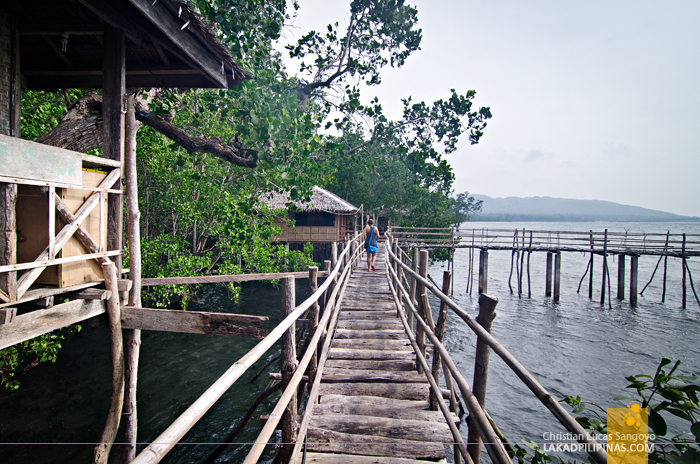 Access is quite easy as its main gate is located right by the island’s circumferential highway. 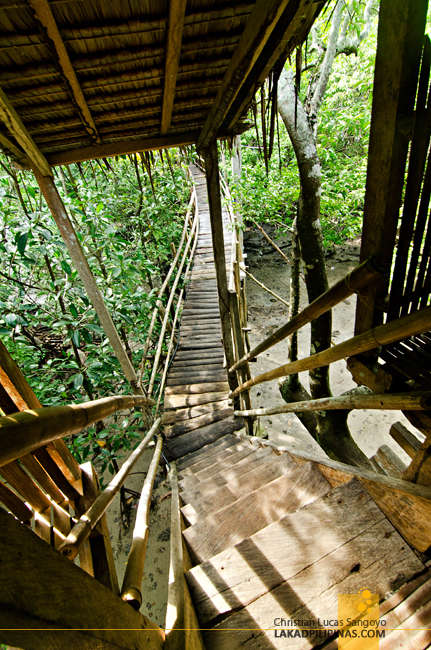 From its humble entrance, a wooden stairs led us to a gently curving elevated pathway made from bamboos and what seemed like halved wooden trunks—probably actual mangroves harvested from the area. 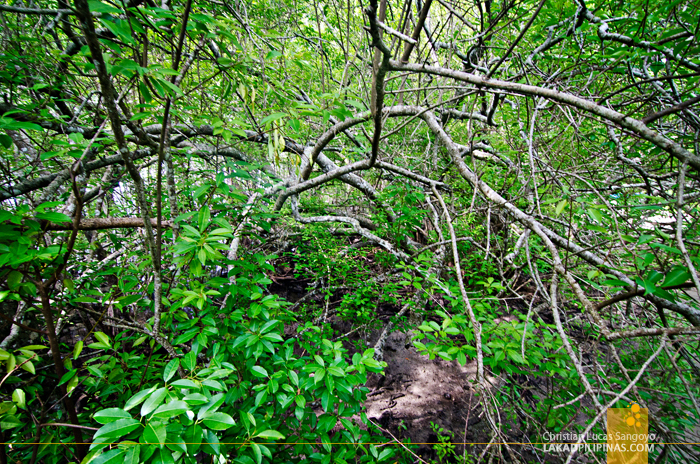 It was as I imagined it to be years ago; a lush mangrove forests surrounding an elevated rickety pathway. A few meters on, we saw wooden houses set precariously on trees, apparently, these are available for rent. Guiwanon Spring Park has three of such, cutely named as Pawekan, Kunalom and Bolok-Bolok. 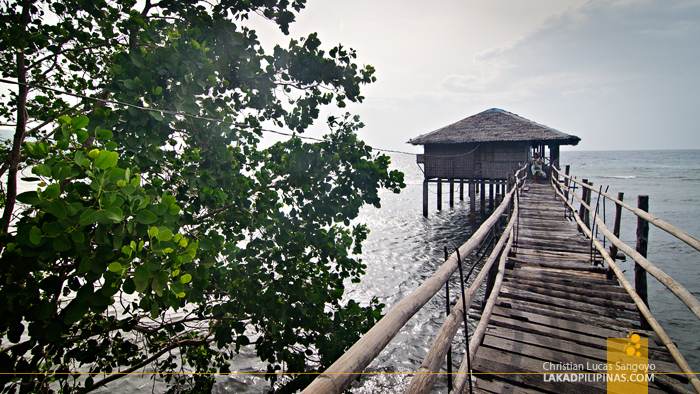 The first two would only set a visitor back PHP250.00 a night, while the last one is at PHP350.00. With those prices, don’t expect a imperial accommodations, their rooms are quite spartan and the toilets are located outside. If only we’d known about this, we would’ve booked a night here instead of at Camogao Beach; not only do we get a uniquely Siquijoran experience, albeit probably a scary one if you’re alone as night sets in (they do have electricity, by the way), but we also get to help the locals from barangay Luyang who maintains this place. Oh, and if you’re planning to stay here, bring your own baon food, as there’s no restaurant in the park itself. 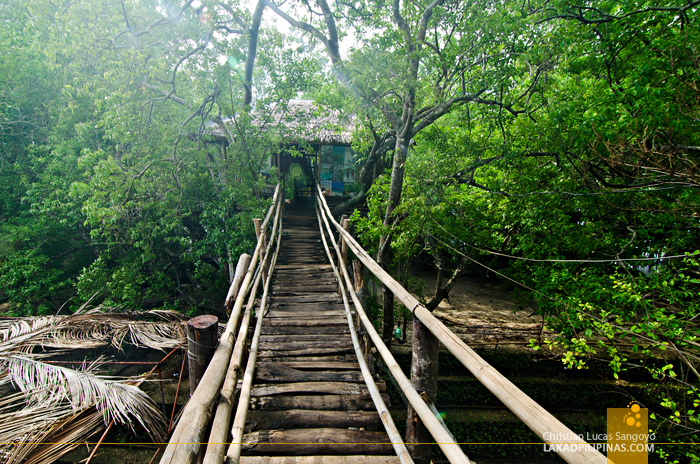 After a few minutes of gingerly walking along the planks, the mangroves opened up to the fringes of the Bohol Sea where another hut, made for conferences, stands at the far end. The park isn’t as sprawling as its counterpart in Kalibo, but it is a good enough side-trip when visiting Siquijor. And as I was writing this, I just learned that this isn’t actually the mangrove park I first read about during my first adventure in Siquijor. 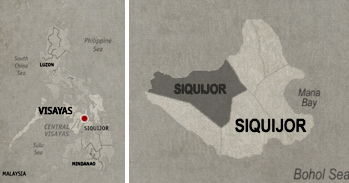 That particular one is located at barangay Tulapos in Enrique Villanueva. Oh well. Next time. Hi Christian. Are those wooden houses suitable for say, an overnight stay? Is it safe in the area?